Community and faith can both comfort and oppress. A well-defined environment with clear expectations and rules can allow one to flourish, knowing one’s proper place and purpose in the world, or it can stifle one’s individuality, creativity and spirit, knowing that what is and what is to come is more determined by others than oneself. Self-realization and other universal themes, such as family, love and loss, are explored with a sensitive heart and a deft hand by Eve Harris in The Marrying of Chani Kaufman (Anansi Press Inc., 2014). Since the Jewish Independent received its advance reading copy of Harris’ debut novel, which was first published in England by Sandstone Press Ltd. in 2013, The Marrying of Chani Kaufman was long-listed for the Man Booker Prize. It has received many positive reviews, and this one will be no different in that respect. The novels characters are likeable and relatable; even the most intransigent of them has their understandable reasons for their views and actions. There are no malevolent people in this non-specific Charedi community living in Hendon and Golders Green, in the northwest part of London, England – although some do push moral boundaries in their efforts to get what they want, what they feel is right. To write a novel that is simultaneously critical of and sympathetic to a community takes skill. Harris writes about religious people, not a religion per se, and she writes about these people with respect and knowledge, humor and pathos. She succeeds in telling a story about people living in a world that will be foreign to most readers and explaining it without becoming stilted or lecturing. The Marrying of Chani Kaufman centres on four people: the bride and the groom, Chani and Baruch; the rebbetzin; and the rebbetzin’s son, Avromi, who is good friends with Baruch. It starts at Chani and Baruch’s wedding in November 2008 and goes back in time – several months for Chani and Baruch, when he first sees her; to 1981 for the rebbetzin, when she met her husband and began her journey to orthodoxy; and to 2007 for Avromi, when he met and fell in love with Shola, a non-Jewish fellow student at university. When the novel begins, Chani and Baruch are about to start their “real life,” as Chani describes it, the rebbetzin is well into her crisis of faith and Avromi’s double life is becoming difficult to maintain. By the time the matchmaker arranges for Chani, 19, and Baruch, 20, to meet, at his insistence to his mother – who does not approve of the match for a few reasons, most notably the Kaufmans’ lower economic status – both had been on several arranged dates with other potential mates, to no avail. They both don’t quite fit the mold of the perceived ideal Charedi wife or husband, and both are unwilling to settle. That latter hope, at least, does seem possible, as Baruch, too, thought his “life felt narrow: the pressure to succeed, to be a rabbi, to please his father. His quick analytical mind was to be harnessed to the Talmud. The English degree he longed to study remained a blasphemous secret buried in his heart.” As did Chani, he acted out in small ways, listening to rock music or reading novels that were not permitted. So, perhaps together they will be able to negotiate a Jewish life that feeds more of their being and soul. Perhaps there will be a happily ever after for them. Their parents seem reasonably content, albeit with their respective – and not insignificant – problems. The future well-being of the rebbetzin and her family is also left to readers’ imaginations, the rebbetzin’s questioning seeming to have more far-reaching implications than her son’s transgression. Sparked by a miscarriage – a devastatingly described incident in which the emotional distance between her and her husband becomes apparent – the rebbetzin begins to deal with long-latent grief from a much-earlier tragedy. This process, at least initially, separates her from her family, her community, her faith. Where it takes her is not revealed. 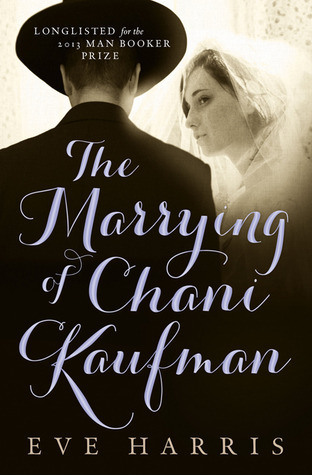 As much as The Marrying of Chani Kaufman offers readers a glimpse into the lives of others, it offers the possibility of finding out more about ourselves and our own place in the world. Chavi (not her real name) awkwardly positions herself on the chair in the group therapy room. The doctors gave her parents no choice, hospitalize her or she may develop organ failure as a result of her extreme anorexia. Chavi is 16 and has grown up in the Charedi enclave of Bnei Brak, where there was little public knowledge or discussion about this debilitating disorder. The group therapy room is in the adolescent unit where she has been hospitalized, a couple of miles away from her community and yet a world away from the life she knows. Girls talk openly about intimate experiences. They discuss the influence of media on their eating disorders and they talk about their secular lifestyles. Chavi doesn’t understand; she understands the words, but not their connotations. She is told that this place will help her get better but she feels lonelier than ever, like an outcast, discarded from her community and implanted into an alien world. Chavi is one of the lucky ones; her parents noticed the signs of her illness and took her to seek help. One in four people will experience mental illness in their lifetime and the Charedi community is no different. And times are changing: Israel’s Charedi community is breaking down barriers to tackle the stigma of mental illness. “The last few years have seen the community join together to fight mental illness,” explained Nechami Samuel, a psychotherapist at Mayanei Hayeshua Medical Centre (MHMC) in Bnei Brak. 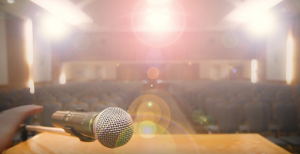 What was once a taboo subject is now being discussed and debated by rabbis, and the message is hitting home. “People in our community don’t turn to medical professionals in these situations, they turn to their rabbi for help with shalom bayit [domestic harmony],” said Samuel. “These rabbis are now referring families to us, seeking professional guidance and, together with MHMC, leading a revolution in reducing the stigma of mental illness.” This changing atmosphere could not happen soon enough – within the first days of the recent Operation Protective Edge, air-raid sirens began to sound in Bnei Brak. Prior to his position at MHMC, Goloveizitz managed a health centre in central Israel. “One day, they decided to do an evening for Charedim because they never came to any of their health-promotion events,” he recalled. “They chose a night during Chanukah, brought in glatt-kosher food and entertained the Charedi visitors with a female singer and scantily clad dancer. They just simply didn’t understand.” There is a need to provide more information about social norms so that there is less misunderstanding between secular and religious Israelis. The new facility will house inpatient services in addition to its current outpatient services and is hoping to become a centre for excellence in Israeli mental health care. “There is no doubt that there is a need for an inpatient facility when a person is endangering himself or others, but our goal is not to be a sanatorium. We want to give people the tools to reintegrate into society as speedily as possible and for that we need to build a welcoming environment in which religious people, like Chavi, will feel comfortable living,” said Samuel. Israel’s mental health system is currently undergoing reforms. The country’s psychologists currently predominantly offer psychodynamic therapy, which is a long-term, in-depth therapeutic approach primarily focusing on unconscious internal conflicts. Under the new system, there is a move toward evidence-based practice, which advocates the use of treatments that have a strong empirical support. While this does not exclude psychodynamic therapies, it does recommend more targeted treatment approaches based on cognitive behavioral therapy (CBT) for specific disorders.